An evil that has no bounds. 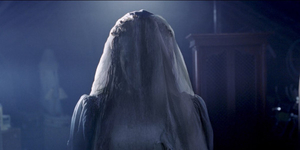 Check out the brand new official trailer of New Line Cinema’s “The Curse of La Llorona” and watch the film in Philippine cinemas on May 1st. New Line Cinema presents An Atomic Monster/Emile Gladstone Production, “The Curse of La Llorona.” The film is distributed in the Philippines by Warner Bros. Pictures, a WarnerMedia Company.